Food cravings affect those trying to lose weight just as they do stable-weight individuals. Finding a lasting solution to these sudden ‘snack attacks’ requires a multi-pronged approach. People gain weight for many reasons – there are those who overeat at mealtimes, those whose portion sizes are normal but who eat unhealthily and then there are the serial snackers. For this last group, eating becomes almost uncontrollable and obsessive and such inappropriate snacking requires special measures. By following a low-calorie, and in particular, low-fat diet, you are setting yourself up to fail. Several years of cutting calories and fats is likely to make you irritable and anxious. Weight creeps back on because such diets cause deficiencies to build up, disrupting bodily functions such as those of the thyroid and adrenal glands which become sluggish. Base metabolism falls significantly and you end up burning very few calories at rest - calories are stored rather than used. To correct this, you need to rebalance your intake of ‘good’ fats, and so restore essential fatty acid levels; if you crave fatty, salty foods, then you especially need: Fish or Krill oils, rich in omega-3s and contaminant-free, particularly when your consumption of oily fish is on the low side. It is also vital to increase base metabolism by focusing on forskolin, the active substance in Coleus forskolii root, or on raspberry ketoneswhich increase noradrenalin and thus base metabolism, naturally. MétadrineTM, a proprietary fat-burning formulation with a combination of ten scientifically-supported nutrients, also helps increase base metabolism. The thyroid is one of the body’s key organs for energy metabolism. Certain nutrients can help boost a sluggish thyroid, particularly L-tyrosine, Guggul (Commiphora mukul) and Lugol’s iodine. With regard to adrenal function, a vitamin B group complex is essential, as is maca which should be taken in the morning with breakfast. In the case of increased food cravings linked to excess cortisol, supplementing with Relora – a proprietary complex of Phellodendron amurense and Magnolia officinalis extracts - will help with binge eating by restoring emotional equilibrium. Our dependence on sugary and starchy food is perpetuated by the number of times we are told to « eat carbs with each meal », or « bread is good for your health »… In fact, whether it’s bread and butter, a bowl of pasta or rice, cakes, sweets or fruit juice – it comes down to the same thing – glucose! And when a meal is too high in glucose, your blood sugar rises, leading to insulin secretion, a hypoglycaemic reaction that brings various problems including irresistible cravings for sugar! Restricting your daily glycaemic load is thus one possible approach. Chromium (polynicotinate or its trivalent form - Cr3+) is recognised as supporting carbohydrate metabolism. It plays a fundamental role in converting sugar into energy, controlling appetite, reducing sugar cravings and increasing lean muscle mass by enabling protein to be converted into muscle. It improves cell sensitivity to insulin and maintains blood sugar levels by ensuring normal cellular glucose absorption and regulating the conversion of sugars into fat reserves. It is also a good idea to take this nutrient alongside synergistic plant extracts with blood glucose-lowering effects:corosolic acid extracted from banaba leaf, cinnamon bark extract, bitter melon extract (momordica charantia) and Gymnema sylvestre, standardised in gymnemic acids. The latter is widely used in ayurvedic medicine to control blood sugar and suppress irresistible cravings for sugary food. Paradoxically, the foods we tolerate least-well are often our favourites! If you ask yourself which food you would miss most if you were washed up on a desert island, the answer – which will vary from individual to individual - will be a key marker. Certain foods - such as dairy products, with casein and lactose, or those containing gluten - are allergens which the body deals with by secreting soothing substances. And it is these very substances to which the body becomes ‘addicted’. 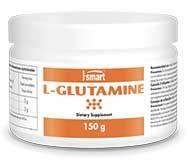 Therefore, cravings can sometimes be reduced by eliminating gluten- or casein-containing foods for one or more weeks, and at the same time, taking specific supplements that give a little boost: L-glutamine, Lactobacillus GG and standardised extracts of curcuma to reduce intestinal inflammation and reconstitute intestinal wall integrity. In women, sugar cravings can sometimes be due to simple hormonal imbalances, particularly before a period or the menopause. If this is the case, herbal extracts that are especially effective include:Dong quai (Chinese angelica), black cohosh (Cimicifuga racemosa) and natural progesterone in cream or spray form. Recurrent bloating, headaches, itching, repeated ENT infections and bad moods when hunger and cravings set in are typical signs of excess levels of yeast in the gut. As these yeasts feed on carbohydrates, sugary foods and alcohol, they can sometimes be a cause of cravings. Probiotics containing lactobacillus, oregano oil standardised in carvacrol and especially caprylic acid can eliminate these voracious yeasts. Part of the answer also lies in the brain’s neurotransmitters. Specific molecules, particularly the amino acids, are therefore essential in order for the brain to synthesise its own super-powerful substances: serotonin, catecholamines (adrenalin, noradrenalin and dopamine) and GABA (gamma-aminobutyric acid). -	Those dependent on sugar, starch, fruit and alcohol, who tend to be emotionally unstable, need their blood sugar rebalanced and respond very well toChromium and L-glutamine. -	The anxious and irritable types, susceptible to obsession, pre-menstrual syndrome, insomnia and afternoon or evening cravings, who get relief from 5-HTP, Tryptophan, fish protein hydrolysate – Peptidea® or safranal, the active substance in saffron extract which has been shown in two studies to improve appetite control and food intake. -	The tense, uptight types who find it impossible to relax, and who compensate with food. For them GABA, PosinolTM and L-theanine extracted from green tea, produces rapid relaxation and thus helps prevent those moments of temptation. -	Those with chronic fatigue, who lack motivation and energy and who eat to give them strength. Countering the lack of dopamine, amino acid precursorsN-acetyl-L-tyrosine and L-phenylalanine, taken in the morning on an empty stomach, will quickly reduce food cravings. Inhibitory neurotransmitter, essential for combating stress effectively.